What is keeping your employees hooked? to offer rewards in your program. Simple does not mean limited; our service allows you to offer literally millions of different items from the world's most recognizable brands. 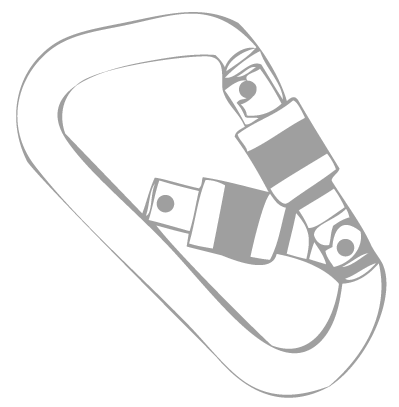 Items are delivered right to your participant's doorstep. Our order management team is here to help, should any questions arise. The reward experience should be well, rewarding. Alex has been consistently among the top performers in his channel partner’s incentive program, and wants to surprise his wife with a gift prior to their anniversary getaway. "I wonder if I could get my wife a ..."
Harper has attacked her company wellness program with the energy of a child, and has benefited by her improved health and has earned a reward. "I’m enjoying this healthy lifestyle, I think I’ll get myself a ..."
Chase has been recognized by his peers in his company's recognition program for his teamwork and his ability to come up with innovative solutions to improve processes. He is just about finished with construction of his man cave, and is out shopping at his local electronics store. "Let's see if I can get a ..."
Julie has just completed 10 rewarding years as a sales clerk for a national retailer. She received a wonderful letter from the company CEO, thanking her for her years of service, and a voucher in which she is instructed to redeem for a reward accompanied it. In the coming weeks she is about to go on a beach vacation. 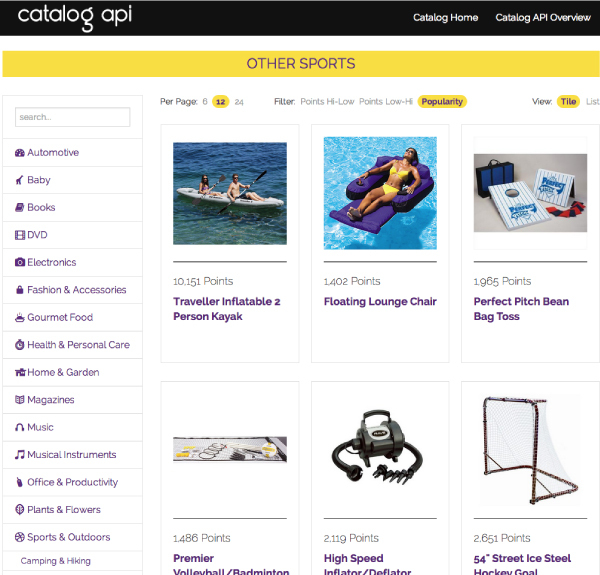 "I really need ..."
Catalog API started as a challenge, "How are we going to compete with the established companies, where are we going to store the inventory, we’re going to need a new building?" The answer - create tighter relationships with our suppliers through technology. Most were already delivering individual items direct to the customer, through telephone, fax and mail orders. Why not send the order over the web, and directly to their fulfillment systems to be shipped to the customer? 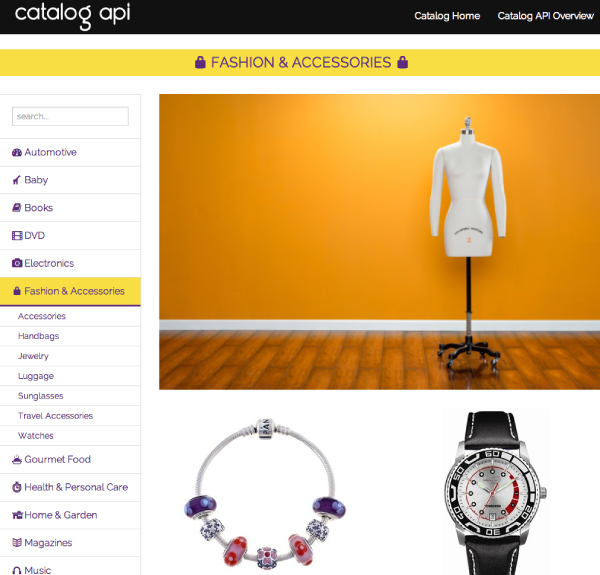 Through a lot of blood sweat and tears Catalog API was born and today connects over 35 different suppliers offering over 2 million items in countries around the world. 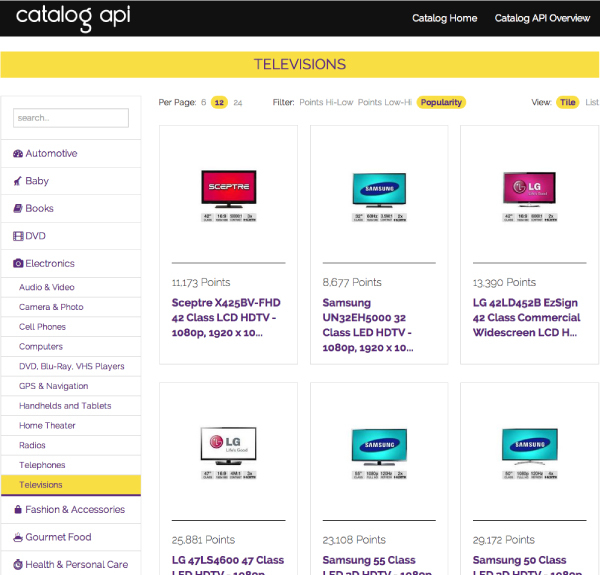 What is a Catalog Application Programming Interface? 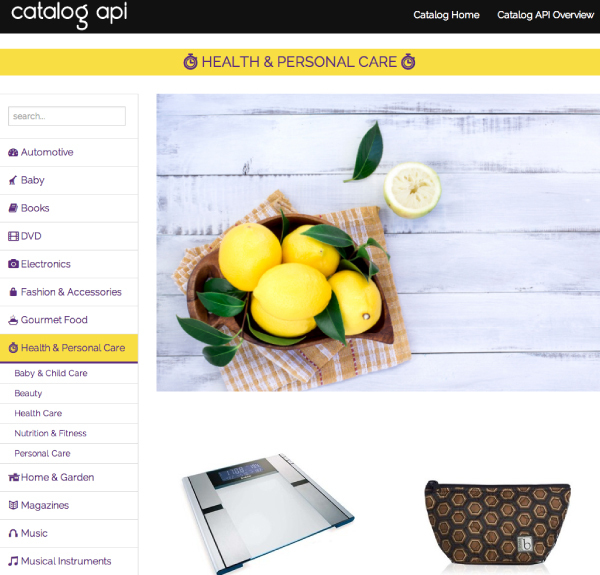 The API is a real time service that allows you to integrate item fulfillment in to your websites or Apps. You will be able to display this data locally in any way you choose, and place orders back for fulfillment. Our team will take it from there. How can I integrate with your API? You can use SOAP, REST/JSON, REST/XML, JSONP, or Cross-Origin Resource Sharing (CORS). You can find documentation in the developer interface that comes with your account. How long is a typical integration? An integration can literally be complete in a day. We would recommend a 2-week turn around from concept to live catalog to allow for design, implementation, and testing. Are there options for international catalogs? Yes. We can fulfill in countries in around the world. How often will the merchandise selection in my catalog be updated? The catalog selection will be refreshed about every 12 hours. Our proprietary system is constantly stocking your catalog with new items based on popularity and availability. Where will items ship from? 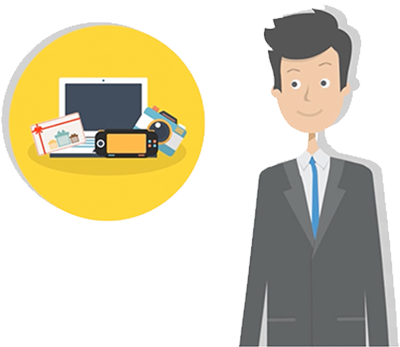 We source providers as close to final destination as possible to avoid international shipping and taxes. Items going to Canada and the United States originate in-country, but items in the EU may come from various countries in Europe. We have strong selections in Asia and Australia, as well. Are there items in languages other than English? When suppliers have this data available, we provide it through the API to you. Please contact us to find out which countries are supported in local languages. What is the best way to contact Catalog API? Well, we are easy to get a hold of on the Contact page, but you can also call 888.826.0783 to talk to us. Can I have more than one catalog attached to my site? You can have as many catalogs as you need. They can be created by demographic, country, type of awards, value of awards, or any way that you can define one. You provide the business rules, we can implement the catalog to your requirements. We didn't forget about the people that make the magic happen. Catalog API exposes multiple endpoints allowing your development team to implement the service that is appropriate for them.